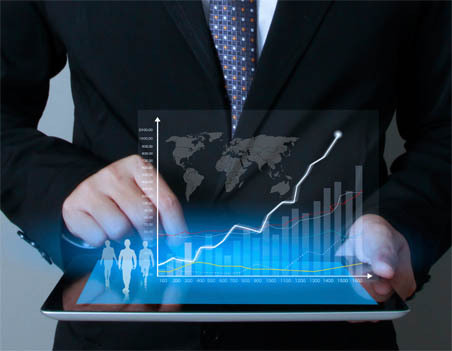 Bill Per Call Phone and Website Services are More Advanced than our Competitors! Own a Bill Per Call Phone Service today! 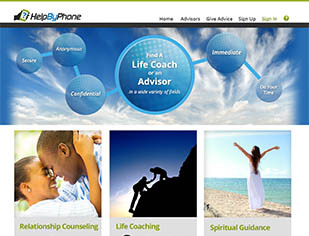 Get a fully featured website customized for your business and begin recruiting Advisors right away. 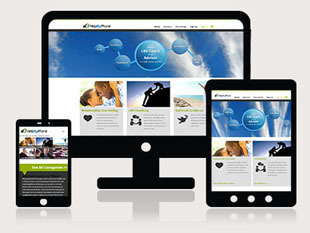 You provide the theme or pick one of ours, and we’ll customize our platform using your design files. We are Developers not web designers so any graphic design elements can be purchased from a website template retailer or by your own graphics designer who will provide us with your website PSD files. * Dedicated IP address for your own custom domain name. * Unlimited extensions and automated signup process for your clients. * Includes 50 Hours of custom development (not design) to your site. Additional hours are billed at $50 per hour. 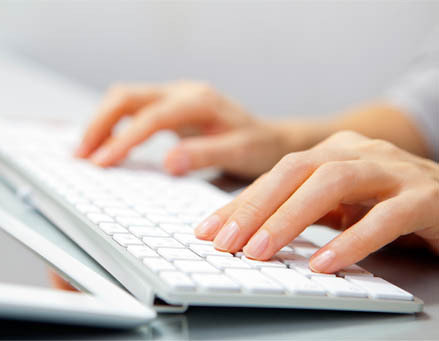 We use time tracking software with screenshots to ensure the developer devotes 100% of the time to your site. Our developers can customize our platform for your business design with your own graphics assets from a template or your own PDF files. Our streamlined control panel gives Administrators, Advisors and Members access to their account information and the ability to make all changes necessary. 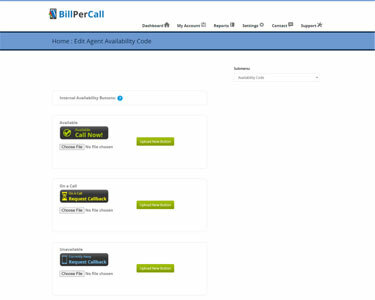 BillPerCall’s web design is ready for the next generation, and users can log on and access all features and settings from any device. BPC Unlimited is a Web-Based Phone Service that allows companies to provide information, advice and/or entertainment by phone. It serves as a venue for their members to receive the information, advice and/or entertainment. Advisors (or the system admin) decide on what rate to charge Members, and BPC Unlimited processes the phone calls and payments. You will need your own SSL Certificate (that we can install for you) and a Merchant/Business Bank Account. Your information is stored securely on our servers and will never be revealed to anyone except our support staff. Advisors and Members will only ever be able to connect through your service, and will never have access to each other’s personal information. Our service includes a Live Chat operator that is available from 9am-5pm PST Monday through Friday. You can also call us at (888) 439-8984 for support and ordering. We also have a fully integrated Messaging and Voicemail system that you and your users can access via phone or the web. Your $2,500 startup cost includes complete integration into our platform with your design files for a fully customized website with your own domain name with no reference to BillPerCall on the site. You provide the content and your own company logos and graphics from any template or PDF files from a graphics designer. We will integrate the design with your BillPerCall Unlimited platform until everything looks and functions to your specifications. This typically takes 3-4 weeks. Beyond the initial installation, if you’d like additional design work we can provide it for you at a rate of $50/hour. Receive 100% of payouts using your own Internet Merchant Account. In addition to your monthly billing is a Line Fee of 12 cents per minute when Members are calling in to the system to talk with your Agents. You will provide your own Internet Merchant Account with Payflow Pro Gateway. If you are unable to obtain your own Merchant account you can still run your business using ours. If you use our merchant account we charge a 20% fee on all transactions (indicated on your invoice as the Perchase % Fee) and your maintenance fee is reduced to $150/month. You have access to both Monthly and Daily call reports so you can see each transaction that occurred in your BPC Unlimited and its details. Every Transaction, Member, Advisor and Message sent through the system has a unique ID that you can use for tracking purposes. Disable, Close and Delete accounts, and issue Refunds. 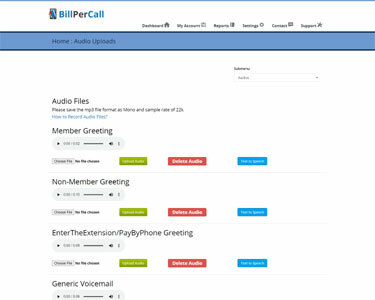 Have full control over Audio settings and upload your personalized sound clips for the phone system. Cap the number of minutes a Member can speak with a particular Advisor per day, and set limits on any Advisor’s daily earnings. Add as many Main Categories and Sub-Categories as you like. You can pay Advisors using Checks, Direct Deposit or PayPal. 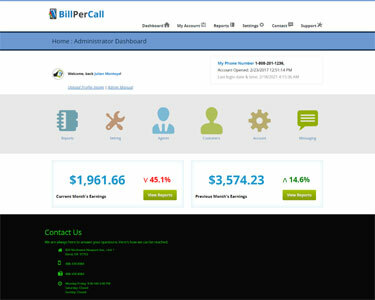 Manage a Bill Per Call Phone Service with ease! Get a Dedicated Toll Free 800 number and begin taking calls today! We provide you with coded buttons for your already existing website where users can make calls from. With our Profesional Service you will be able to accept all major credit cards using our merchant account. Payout occur on the 25th of each month for the previous month's earnings. Optionally you can upgrade your account to connect your own merchant account. When using your own merchant account the funds from each day's earnings will post to your account daily and we charge zero% and zero transaction fees! This upgrade will change your monthly fee to $100 and your per minute fee to 12 cents. * This price includes unlimited extensions for as many agents as your company requires at no additional cost! Additional Phone Numbers (toll free or local numbers): $20 Setup Fee; $10 Monthly Fee. Additional numbers can be added to Professional or Unlimited plans. Just add our code to your existing website and begin taking calls through our system immediately. Customize your graphics for a personal touch!  Customize all audio clips either by phone or web upload. Our control panel allows you to make your phone service your own! BPC Professional is a Web-Based Phone Service that allows companies to provide information, advice and/or entertainment by phone. It serves as a venue for their members to receive the information, advice and/or entertainment. Advisors (or the system admin) decide on what rate to charge Members, and BPC Unlimited processes the phone calls and payments. Our easy to use system gets you going right away. Your initial $300 Setup Fee covers programming, hosting, billing, software, real-time tracking and customer support. A monthly $40 Maintenance Fee wil apply. You do not need your own Merchant Account, but you will need a website from where to launch your Call Center. Customize your graphics and audio, and get going! We provide you with starter buttons that you can add to your existing website. For best results, customized buttons are recommended. We can create these for you at a design rate of $50/hour. Our system can be used “out of the box” with pre-recorded greeting messages. You can customize these either by phone or by uploading .wav files to your Control Panel for best results. 80% Payouts are the highest in the industry! You receive 80% of everything you make through your Advisors and Members. You control their per minute rate and percentage, and we charge just 20% of each payout made to you. 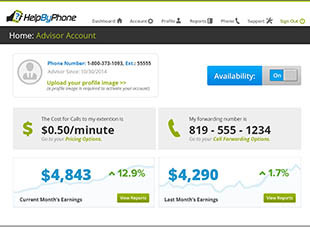 Become a phone advisor today! There’s never been a better time to become a phone Advisor. In the digital age, time is more precious than ever, and your callers will be relieved to find the help they need from the comfort of their living rooms. 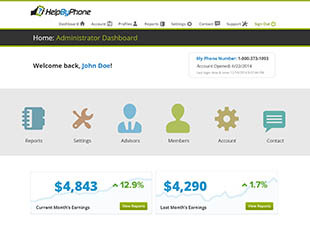 HelpByPhone is a fully featured service which includes a shared 800 number and private extension just for you. Best of all, you receive 80% of every transaction, and the per minute fee is just $0.10. You can access your account anytime from any device. 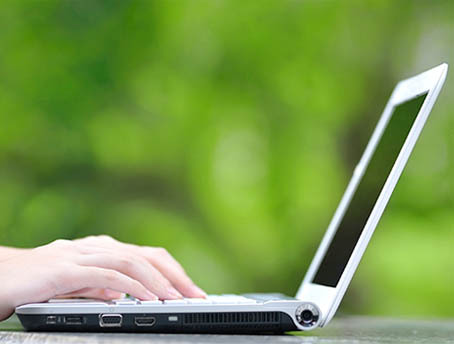 Update your profile, change your hourly rate, and more! 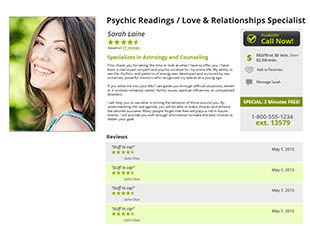 Members will be able to see your reviews, per minute rate and extension right from your profile. If you’re available, they can give you a call right away. Access your account from anywhere, any time. Stay connected to your callers and be able to take calls from any mobile device. 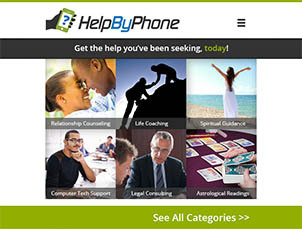 HelpbyPhone is a Web-Based Phone Service that allows companies to provide information, advice and/or entertainment by phone. It serves as a venue for their members to receive the information, advice and/or entertainment. Advisors (or the system admin) decide on what rate to charge Members, and BPC Unlimited processes the phone calls and payments. 1. Pick a main category and two subcategories of your expertise. 2. Set your business hours of operation. 3. Set the maximum time allowed for each call up to 2 hours. 4. Charge up to $9.99 per minute, up to $50 for flat rate calls, or a combination. Customize your profile page for maximum appeal to potential callers. Personalize your phone greeting via phone, web or file uploads. Track your performance and earnings in our control panel. Feel secure knowing that your callers will never know your personal name or information. They will only see your Screen Name. Your extension comes with our Voice Verification for fraud protection that will greatly reduce chargebacks. After your caller enters their credit card information, they are asked to say their name as it appears on their credit card. Their spoken Verification is recorded and stored on our servers for 12 months with a time and date stamp. Voice Verification can be extremely helpful when disputing a customer chargeback if one does occur. Connection Fees are 20% per transaction and $0.10 per minute.